A number of visual changes (plugs moved to sides, motor covers are singular piece, and more) The iEQ45 Pro mount offers the next generation GoTo technology from iOptron –not to mention built-in 32-bit GPS. With a payload of 45 lbs. 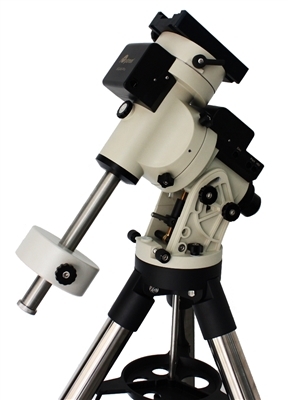 balanced — it comes standard with a calibrated dark field illumination polar scope and a sturdy 2-inch stainless steel tripod. It also fits both Vixen and Losmandy-type mounting plates. Its lighter weight (only 25 lbs.) makes it much easier to carry. Copyright © 2019 Astroventas - Equipamiento Astronómico & Astrofotografía.